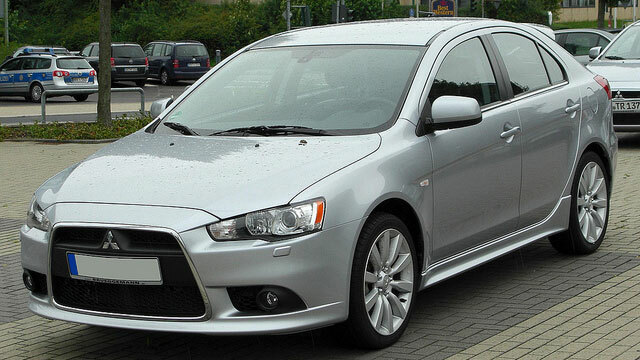 Are you driving a Mitsubishi in the Lafayette area that needs car repair and maintenance? Look no further than Guaranteed Automotive & Transmission Service for all your car repair needs or questions. Mitsubishi is just one of the Asian, European, and Domestic car brands our ASE-Certified auto mechanics are well-versed in. They have the diagnostic tools and training required to get your Mitsubishi running as well as it did the day it rolled off the assembly line. As a family-owned car repair shop in business for more than three decades, Guaranteed Automotive & Transmission Service is dedicated to serving Mitsubishi owners with the highest level of customer service. And we back up our car repair work with a variety of warranty options. Ask for warranty details. John and Terri Johnson opened Guaranteed in 1983 as a specialized transmission shop. Since then, we have evolved into a full-service car repair operation. But we’re still the go-to shop for transmission work in the Lafayette area. In fact, auto mechanics at other car repair shops call on us when they’re stumped with a transmission problem for a Mitsubishi or other vehicle. We are so confident in our transmission work that we back it up with a nationwide warranty through the Automatic Transmission Rebuilders Association, an organization we’ve belonged to since 1986. So the next time your Mitsubishi is in need of expert car repair and maintenance, trust it to the auto mechanics at Guaranteed Automotive & Transmission Service. We’ll have you back on the road in no time. Schedule an appointment online , call us or stop by. Guaranteed Automotive & Transmission Service is conveniently located at 3742 State Rd 38 East Lafayette, IN 47905.